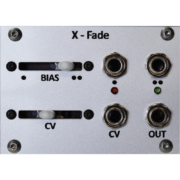 The X-Fade Tile is a voltage controlled DC coupled crossfader for CV and audio. It uses the Alfa AS3360 dual voltage controlled amplifier (VCA) which is a modern clone of the classic CEM3360 VCA. When operating the X-Fade as a crossfader the two upper jacks are the inputs and the output is the jack on the lower right. The jack on the lower left is the CV input which is used for controlling the crossfade. The BIAS slider sets the nominal output of the crossfader and can be used to manually fade between the two inputs. 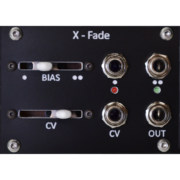 The CV slider is an attenuator for the control voltage (CV) input and is useful for trimming the crossfade range. 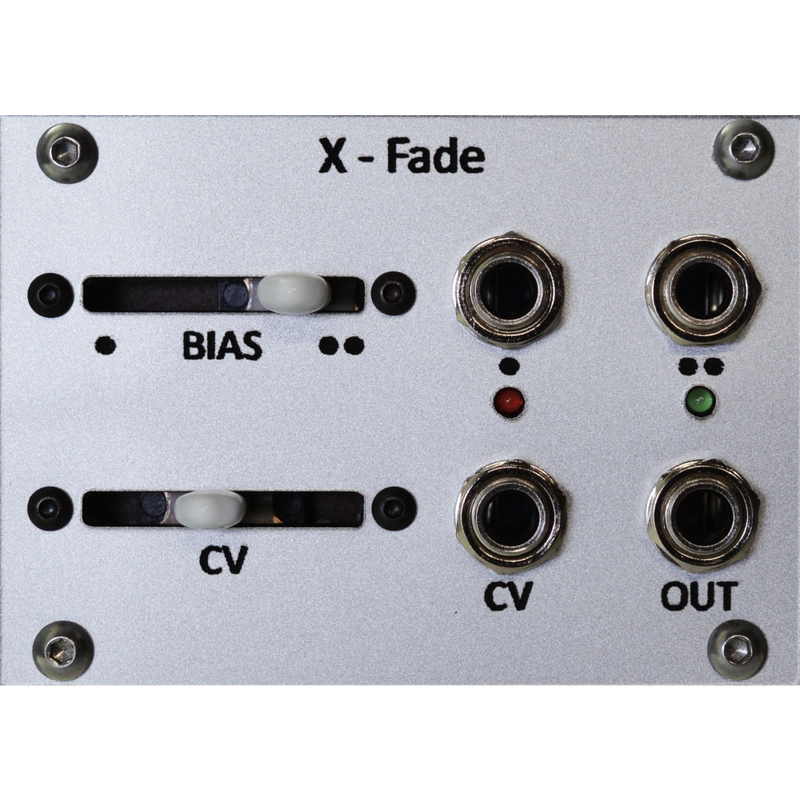 For a full crossfade apply a control voltage that spans 5V or more into the CV jack and trim the fade start position with the BIAS slider. The X-Fade can also be used as a linear DC coupled voltage controlled amplifier (VCA). To operate the X-Fade as a traditional VCA use the upper right jack as the input to the VCA and apply a control voltage to the CV jack. Use the BIAS slider to set the off position and the CV slider to trim the range of the response. The VCA input will be passed to the output jack on positive going control voltages. For an inverse response use the upper left jack as the input to the VCA so the signal will be reduced on positive going control voltages.